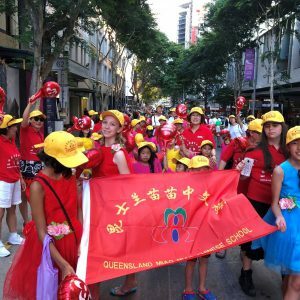 The City Hall witnessed the grand opening of the 8th Brisbane Chinese Festival celebration on February 9th, 2019. Chinese culture was blossoming through the Festival celebration and had spread to everywhere of the city! 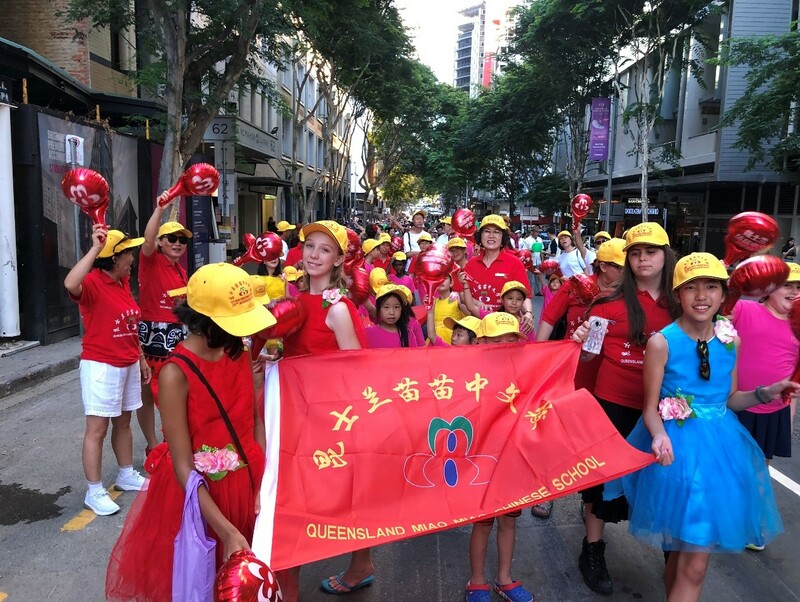 More than 70 teachers, students and parents of Queensland Miao Miao Chinese School participated in the grand parade on February 9. “I love Chinese culture” was the theme of Miao Miao’s parade. The students in the parade are not only Chinese, but also from different ethnic groups. In different skin colors, they all loved Chinese culture. Their active participation in the parade celebration made the teachers moved. Such cultural experience was quite meaningful out of our classroom. It has been a great influence for local young children in understanding Chinese culture. In the Miao Miao’s history, all the large-scale activities have proven that children of Miao Miao are always the best! Although the teacher worked hard, the children are even better!